Don’t just take care of children, take care of your career. Write a resume that lets parents know that you are kind and trustworthy. Even if you don’t have much experience, a great summary statement can make you sound capable and responsible. Mention your certifications and licenses here, such as CPR training, then share them in detail in your education section. Be sure to note the ages of your former clients and share the fun activities you did with each age group. For older children, note your experience in homework help. 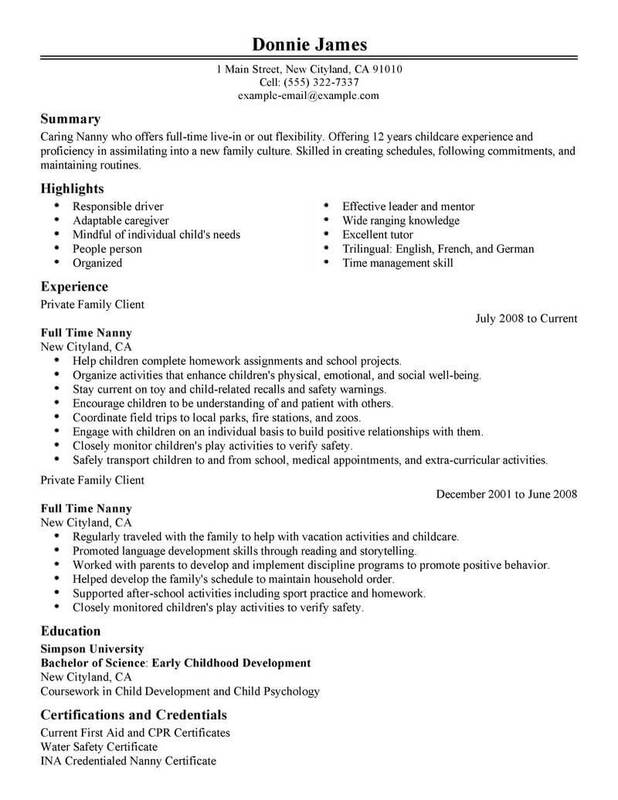 See the full-time nanny resume example for more ideas. 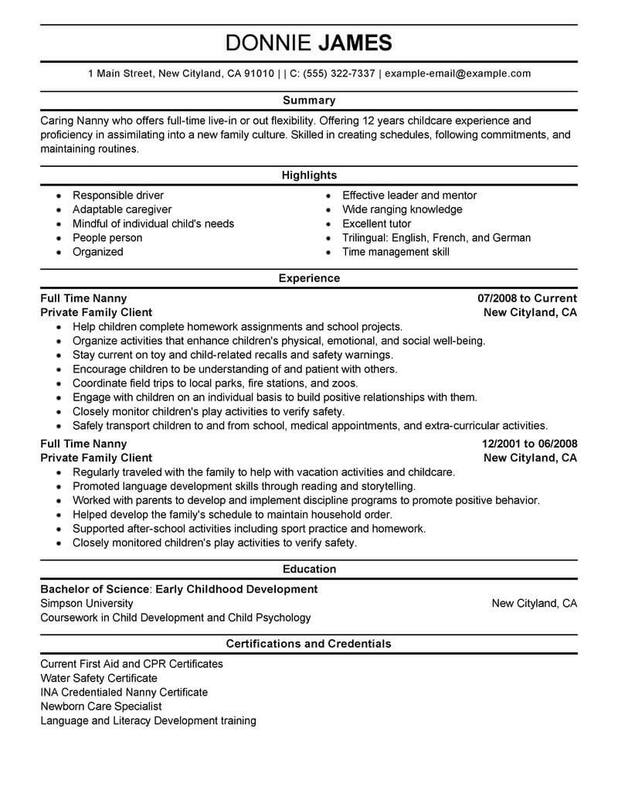 Get a job as a full time nanny faster with a high-quality resume. 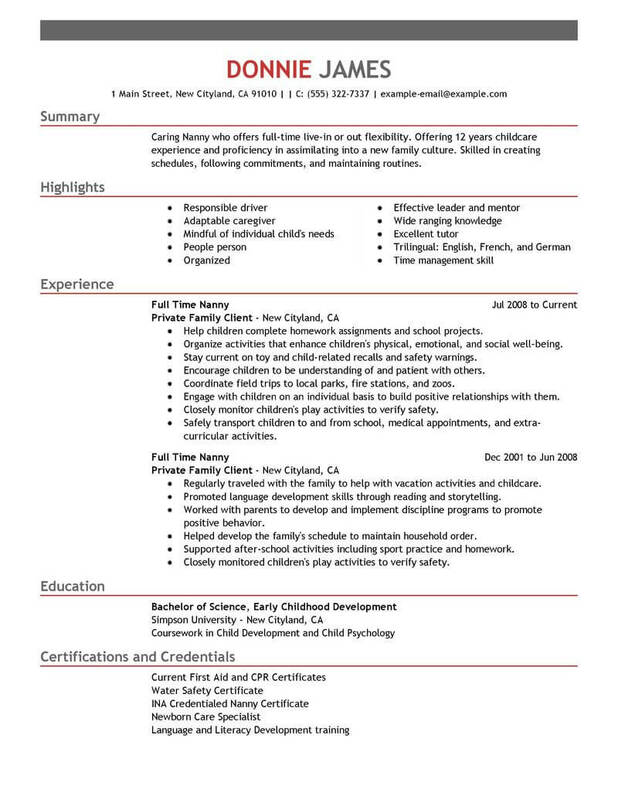 The resume examples below have been designed specifically to help you secure a full time nanny position, and include language that employers are looking for. With these resume examples as a guide, you can start building a resume that can succeed sooner. Take the next step in your nanny career with these helpful resume templates. There are a lot of opportunities to find jobs as a full time nanny for those who apply themselves. Here is some quick advice on how best to go about your job search. 1. Online Job Banks can be a huge help. 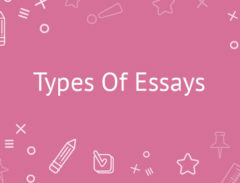 There are many publicly accessible ones, and if you have taken classes or been involved in an institution of higher education, there are very accessible resources and local Job Banks. 2. Read all the resources available to you and stay up to date. A great way to do this is through professional journals affiliated with the field where you are looking for work. 3. Keep on your job search with persistence. Talk about it with your peers and with your network every day even if you haven’t done anything on a given day. 4. Think about creative ways to apply yourself. If you haven’t directly performed an activity that would be required of you in a job, it doesn’t mean you can’t do it. 5. Take charge of your talents and inform yourself to find ways you might take an independent approach, such as by doing contractual or freelance work. By practicing the best techniques of resume writing, you can really bring up the level of your resume. A high-level resume is essential for getting jobs as a full time nanny, so check out these tips that will help get you there. 1. Your resume does not need to be less than one page, though try to avoid having over two pages. A good rule of thumb is to have at least five bullet points describing your activities for each job, but no more than eight. 2. Make sure to include your contact information. This includes your city and state, phone number, and e-mail address. 3. 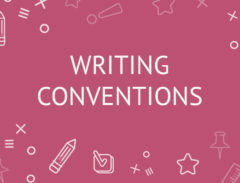 Starting off your resume with a Summary of Qualifications section of four to six lines is a great way to establish a focus by highlighting some skills and traits right off the bat. 4. Use creative and diverse language. If this is not your strong point, a thesaurus can be helpful. 5. Present information in order of importance, including starting with most recent accomplishments, jobs, and degrees at the tops of their respective sections.